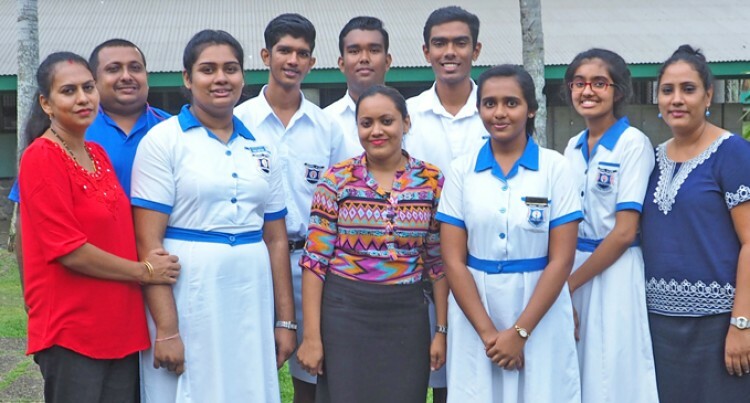 The Mahatma Gandhi Memorial High School Biology battle team has dedicated its win to its school. This is after the team members won the Central Division Biology battle at the University of the South Pacific (USP) yesterday. They topped the division schools with 580 points. Biology Battle team leader Ujeeta Prakash said: “It is unbelievable that we have won the Biology Battle. Ujeeta said their team prepared well for the battle and their tough competitor was Jai Narayan College (JNC). “We had very good support from our teachers, school colleagues and parents. “We will now work hard to prepare for our final battle,” she said. MGM High School Biology Battle coordinator Swartika Vikashni said: “I am so happy that we have won the Biology Battle. “We wanted the top three positions and we are glad to have won the Biology Battle and to win the second position in the Chemistry Battle,” she said. The final battle will be held with the champions of the three divisions of the central, western and northern divisions for the national title in September.